I used my pocket jig to drill holes along the top edge of the side components. 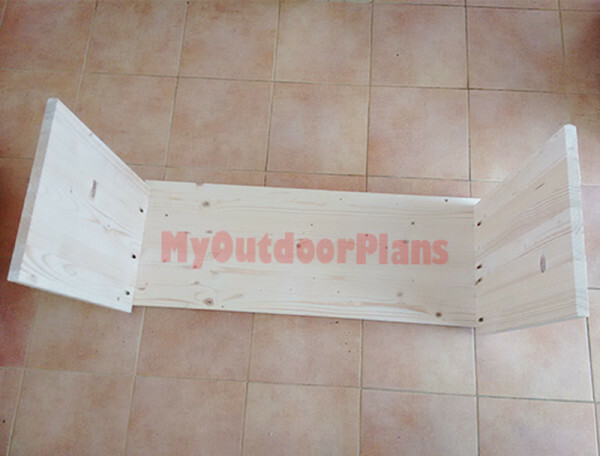 Three pocket holes are enough to create a rigid bond between the wooden planks. Make sure the corners are right-angled and add glue to the joints. 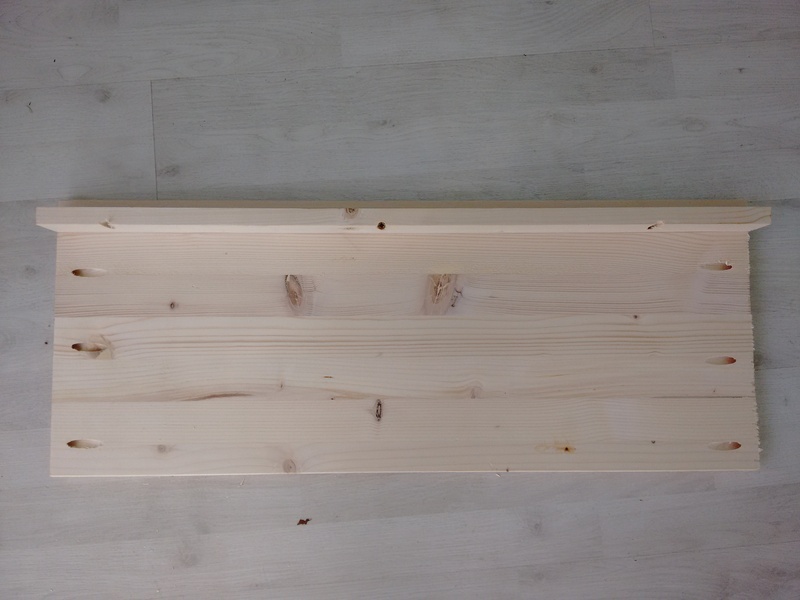 I assembled the bottom of the bench out of a 1×12 plank and a piece of 1×2 slat. Drill pocket holes through the 1×2 slat and secure it to the plank using 1 1/4″ screws and glue. Recess the stretcher 3/4″ from the front edge. Drill pocket holes at both ends of the 1×12 plank and of the 1×2 slat. Next, I fitted the partitions to the entryway bench. 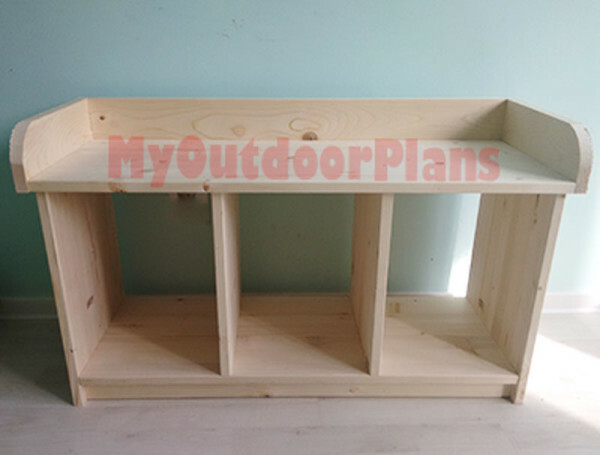 I used pocket holes to secure the partitions to the top of the bench, after making sure they were equally-spaced. I added glue to enhance the rigidity of the structure and removed the excess with a damp cloth. 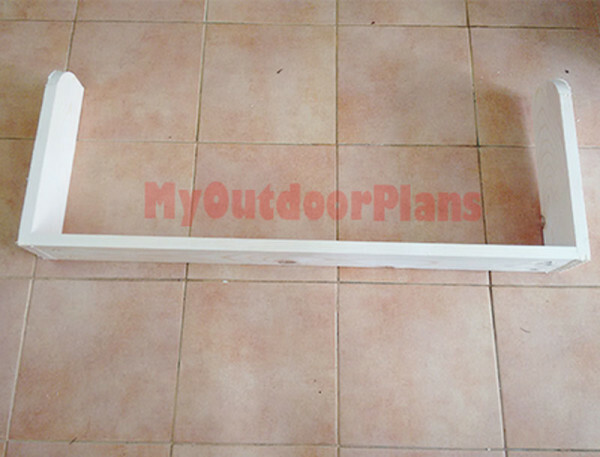 I attached the bottom to the bench, as described in the diagram. Insert 1 1/4″ screws through the bottom into the partitions. Insert 1 1/4″ pocket screws through the bottom components into the sides. Make sure the corners are square. I used 1×4 lumber for the trims. I drilled pocket holes at both ends of the back slat and secure it to the sides using 1 1/4″ screws. The corners are right-angled and I added glue to the joints. 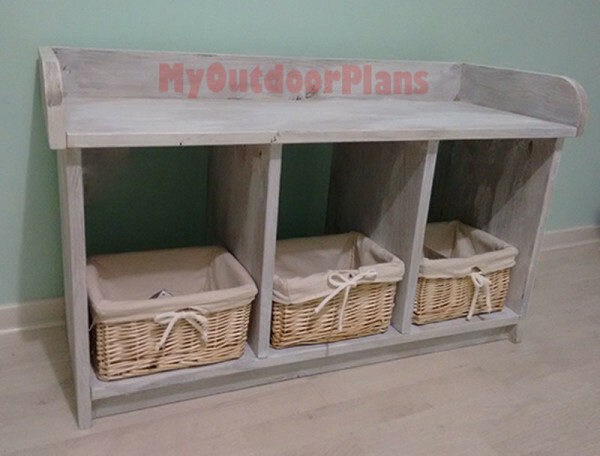 I used brad nails to attach the trims to the top of the storage entryway bench. I used sandpaper to even out the surface and the round the sharp edges. Then, I cleaned the debris and applied the base coat of walnut stain. After the stain dried, I covered the bench with a thin layer of water based white paint. Last but not least I used fine grit sandpaper to smooth the surface. 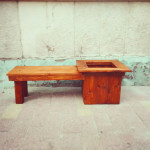 When my good friend Julian came with the idea of building this entryway bench I fell in love with the simple design. 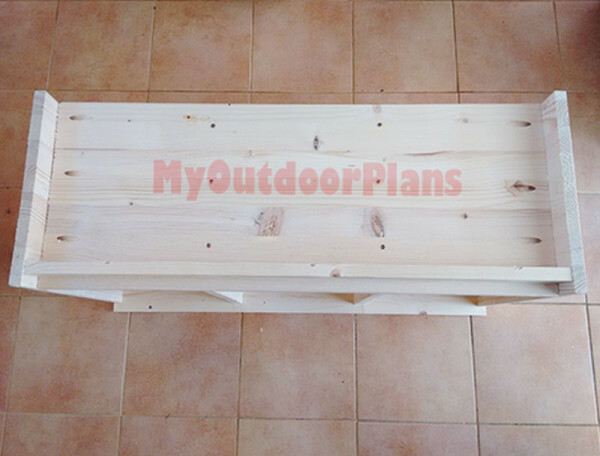 I used pine to build the storage hall bench. It took me several hours to make the cuts and assemble everything together. The most consuming part of the whole project was to apply the finish to the components. I hope this short tutorial will be useful for those trying to build it!